In a wrecked modern version of a romance novel, acclaimed French writer Virginie Despentes pokes at the simultaneous ecstasy and banality of love in an age of psychiatry and punk.Gloria lives in seething rage, lashing out at everyoneparticularly, a string of bewildered boyfriendsat the local bar. But when her latest explosion leaves her out on the street, she unexpectedly runs into famed television personality Eric Muir. Incidentally, he's also her teenage boyfriend, and the one who started it all.Once upon a time, Gloria and Eric met while institutionalized, and then became a mascot couple for those homeless and high on a noisy mix of drugs, music, and counterculture. Now, twenty years later, Gloria is enamored by youthful love resurrected and determined to immortalize their story by writing a screenplay. Whisked away to Paris, she's transformed from a provincial loose cannon into an urbane party guest. But navigating life and love isn't any easier for the middle-aged. 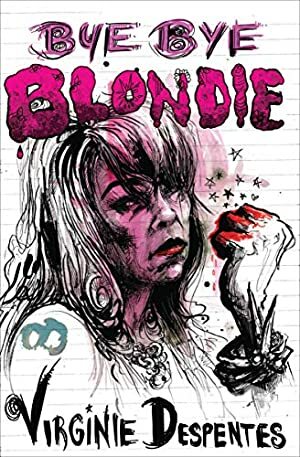 Cutting deep to unearth the marriage of institutional violence and heterosexual relationships, Bye Bye Blondie illustrates how young women are continuously dragged down and neglected, and then dangled false offers of fame in lieu of real, redemptive recognition. Log In to track Virginie Despentes on eReaderIQ. to be notified each time the price drops on any book by Virginie Despentes. to stop tracking Virginie Despentes. Log In to track Siân Reynolds on eReaderIQ. to be notified each time the price drops on any book by Siân Reynolds. to stop tracking Siân Reynolds. We started tracking this book on August 14, 2016. This book was $15.14 when we started tracking it. The price of this book has changed 5 times in the past 982 days. The lowest price to date was $9.99 last reached on December 6, 2018. The highest price to date was $15.14 last reached on September 23, 2016. This book has been $15.14 2 times since we started tracking it.